There is a need to revise/review recommendations regarding existing vaccines in view of current developments in vaccinology. Advisory Committee on Vaccines and Immunization Practices (ACVIP) of Indian Academy of Pediatrics (IAP) reviewed the new evidence, had two meetings, and representatives of few vaccine manufacturers also presented their data. The recommendations were finalized unanimously. To revise and review the IAP recommendations for 2018–19 and issue recommendations on existing and certain new vaccines. The major changes in the IAP 2018–19 Immunization Timetable include administration of hepatitis B vaccine within 24 hours of age, acceptance of four doses of hepatitis B vaccine if a combination pentavalent or hexavalent vaccine is used, administration of DTwP or DTaP in the primary series, and complete replacement of oral polio vaccine (OPV) by injectable polio vaccine (IPV) as early as possible. In case IPV is not available or feasible, the child should be offered three doses of bivalent OPV. In such cases, the child should be advised to receive two fractional doses of IPV at a Government facility at 6 and 14 weeks or at least one dose of intramuscular IPV, either standalone or as a combination, at 14 weeks. The first dose of monovalent Rotavirus vaccine (RV1) can be administered at 6 weeks and the second at 10 weeks of age in a two-dose schedule. Any of the available rotavirus vaccine may be administered. Inactivated influenza vaccine (either trivalent or quadrivalent) is recommended annually to all children between 6 months to 5 years of age. Measles-containing vaccine (MMR/MR) should be administered after 9 months of age. 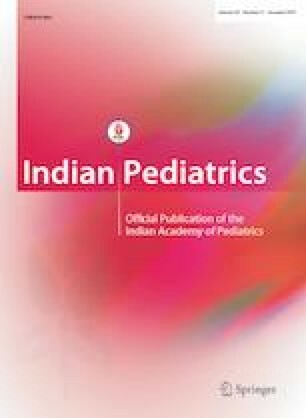 Additional dose of MR vaccine may be administered during MR campaign for children 9 months to 15 years, irrespective of previous vaccination status. Single dose of Typhoid conjugate vaccine (TCV) is recommended from the age of 6 months and beyond, and can be administered with MMR vaccine if administered at 9 months. Four-dose schedule of anti-rabies vaccine for Post Exposure Prophylaxis as recommended by World Health Organization in 2018, is endorsed, and monoclonal rabies antibody can be administered as an alternative to Rabies immunoglobulin for post-exposure prophylaxis.